“What? UV driving sleeves? Does anyone wear this stuff?” That was the first thing I asked when I spotted these sun protection driving sleeves at a 7-11 store. In fact, I never knew this existed until now and of course I was so amused. I think it’s a great invention but seriously, would you bother to put this on before you drive? I know I won’t because I’m usually in a hurry to begin my journey and wouldn’t be bothered to spend more time preparing for the ride. Plus, I can always use a cardigan or jacket with long sleeves if I really wish to protect my bare arms isn’t it? Come to think of it, I’ve never given much consideration to UPF clothing. UPF is similiar to SPF but stands for Ultraviolet Protection Factor and is a rating system used to gauge a fabric’s effectiveness against ultraviolet rays. All fabrics disrupt UV radiation to some degree but those that does the best job carries a UPF value. UPF ratings range from 15 to 50+ but naturally, the higher the UPF number, the greater degree of UV protection a garment offers as a fabric. Any fabric that allows less than 2% UV transmission is simply labeled UPF 50+, which means only 1/50th of the sun’s UV rays is allowed to pass through (source). I’ve seen UPF clothes at Uniqlo but I’ve forgotten what’s the rating like. It looked rather normal to me and I remember thinking how something so light-colored and lightweight can provide special UV protection. But I did not hold it up to see if light can be seen through. 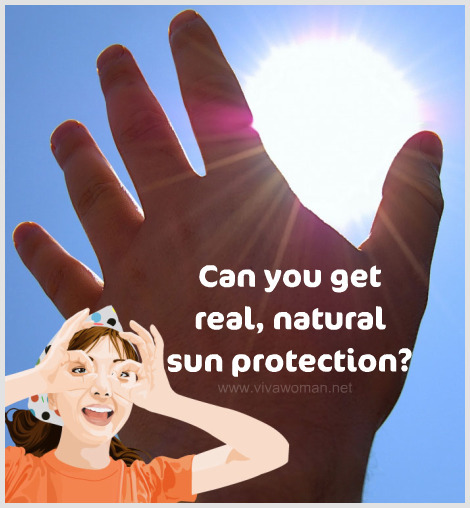 If it can hold up against the light, then it offers some level of sun protection as UV radiation won’t be able to penetrate so easily. Personally, I think UPF rated clothes are unnecessary for me and I’ll rather rely on my sunscreen and Heliocare. Since it’s meant for the outdoors to protect against the sun rays, then it make sense that it shouldn’t be too thick so how can I wear something that has a high UPF? And I don’t know about using such clothing on children outdoors as they won’t be too happy getting all hot and bothered. 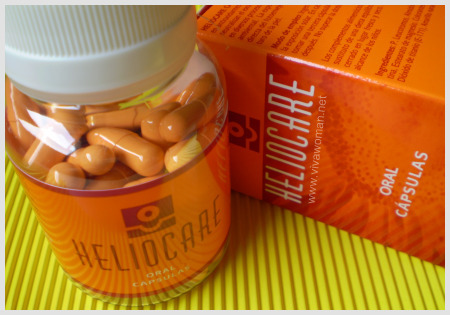 But perhaps, it might be good for those with skin or medical conditions and can’t use sunscreen at all? What do you think? Would you wear clothing labeled with UPF? 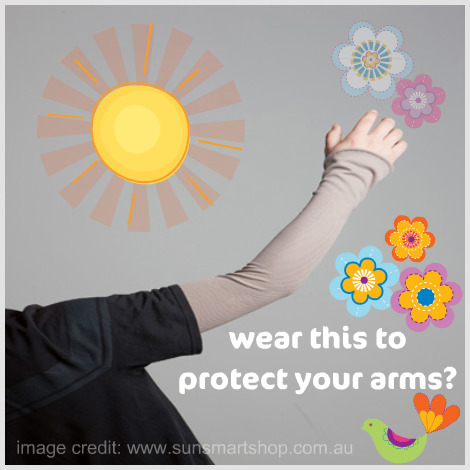 Or do you use the sun protection driving sleeves? * Me thinks the UV driving sleeves can make an interesting fashion accessory though. I think this is quite common in certain country. I saw some wearing this in BKK before, no surprise when it is 37 degree celcius outside but we can get tinted sun sheild here actually. 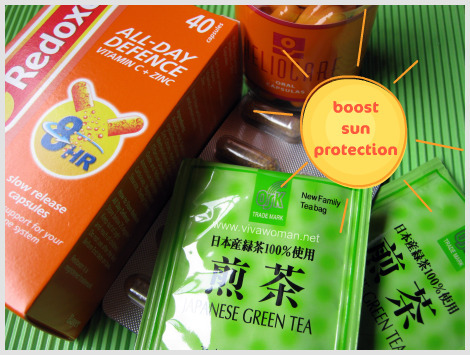 For me, that is not only for UV protection, but is helpful to prevent moisture loss as well. Heard it’s popular in Taiwan too…but I didn’t notice the women using it when I was there. I have no idea that this has been around for so long! Yeah, I would probably buy too if the designs are good for me and the prices are okay. i got mine from daiso.. not sure how good they are though. no matter how much in a rush i am in, i always make sure i wear the daiso sleeves with another jacket during most days. Wow, you really make an effort. Don’t you feel warm with them outside of an aircon room? oh, hahaha, as in i wear them when i’m driving because i usually happen to drive in the midday sun. the rest of the time i’m indoors and i wont wear them. hahahahhaha. I see…I thought you wear it all day long! Haha…but I’m intrigued. Maybe I’ll get it cos it’s cheap too. You prefer clothes? I don’t know if they provide sufficient protection plus they don’t seem very different from our normal clothing with tightly woven fabric. If they’re comfortable and reasonably priced, I’ll wear them too. Takes the trouble off having to slather on the sunscreen like you mentioned. maybe if they brought out more designs, or commercial brands starting using uv protection fabrics? I find them rather interesting. I guess they’re designed specifically for driving purposes. But I would definitely want them if I head out to a dessert or mountain top. this is interesting. i must go uniqlo to check this out. Can be very useful when i am out door the whole day for event. Yes, good idea to wear those if you do outdoor activities a lot. Here in Brazil I use a umbrella with UV protection. It’s not usual. I’ve seen old ladies and mothers with newborns using it, so I tried. It works very well and low some degrees. Sometimes people look at me in a funny way but I don’t care. Umbrella with UV protection is a common sight here too. I use one too. Haha…I need to turn on my TV more often! Sun protective clothing is quite popular here in USA as we have quite a few areas with very harsh sun. I’ve just got a couple of really cute outfits for my kid and a huge hat for myself from Coolibar.com. You can find great info on their fabrics there too and how they work http://www.coolibar.com/suntect.html. There will be a 15% discount on everything from May 24th (not advertised on the site) with the code “sweet15” if anyone would like to treat themselves for something new. I love my hat….. thinking of getting the same in a few different colors. I saw some of their stuff…looks interesting. Maybe I’ll check it out for my boy. Thanks for the code! I have seen this on various japanese Websites. But most of cover the back of the and and sometimes fingers too. I am very fussy when it comes to sun protection so I would definitely consider wearing these. To be honest I just read an interesting Blog entry few days ago about them that made me wanna try! I don’t drive but I do walk around a lot and so my hands and arms are exposed all the time. I was so surprised to learn that women use this. I guess I need to buck up! Maybe I purchase this afterall cos I do worry about my hands. I’m interested in skin sunscreen for everyday use, specially when i take kids outdoor. Any recommendation? I made some recommendations. Or look up my Facebook page sometime next week…I’ll put up some info and links. I got myself a pair a year ago for driving purposes coz i usually pick up my kids around noon when the sun is hottest. However, i cant say i am very diligent in using them..
Haha…I’ll probably not be too diligent myself. recently i got few brownspot on my arms. i regret never use uv lotion for my body, i just concern to apply uv lotion for face and now this is what i got =( i guess singapore sun is more harsh as compared to my home country. do u know where i can gt this sun protection clothing in singapore? I saw it at 7-11 stores. I live in Tokyo and such sleeves are common here, ranging from covering the hands only to full-length ones. I have collected 3 of these, of varying colours and lengths. Nobody bats an eyelid to sun protection of all sorts here and but I think I am going to get the stares when I use them in S’pore. Parasols are common too, very victorian 😉 I must warn, though, that these sleeves and those ugly sunhats do clash with the outfit and can look very Ah Ma. I see…I think face masks are also very popular in Japan and even in Taiwan but here, it’s very strange to wear fashion face masks. I haven’t seen many fashion face masks walking around downtown. People wear them when they have a cold or cough cos some masks are lubricating, good in the dry wintry air. They come in quite useful for other purposes though. A Korean teenager I know used it to hide a bout of acne around the mouth! haha. Face mask to hide acne. That’s a shame. But I know how she must have felt…I wanted to be an ostrich when I was breaking out consistently. I think UPF clothing is useful, but only for those areas u are too lazy to use sunblock on. I would never use UPF stuff e.g. face masks , for my face, cos for important places like the face, u should use sunblock and then make sure u don’t rub it off! With the masks, some sunblock might get rubbed off and sunblock works better than UPF clothing. And one important thing, not all products which claim to have UPF rating have been tested by an independent organisation. So should check first before buying from a company, esp those on the internet. 🙂 I know coolibar products have been tested and they work well, but there are others as well. I’ve been wondering if some of those sold at Uniqlo are tested. They tout sun protection capabilities. I’ve been looking for something like this because I will be delivering mail soon. I also have discoid lupus so I cant’ be in the sun at all. I recently developed an allergy to lotion sunscreen which I have use for much of my 40+ years of life . I found sun sleeves at a newly opened Daiso store in Irvine CA. I have used these sleeves very much because it is usually sunny in southern California. The sleeves have an open air mesh on the bottom and solid on the top. They cover all the way from my fingers to upper arm and are very comfortable. I am going back soon to buy at least 5 more pairs. Price is very very reasonable. Oh that sounds interesting…maybe I should check if the Daiso here stocks those type of sleeves you mentioned.